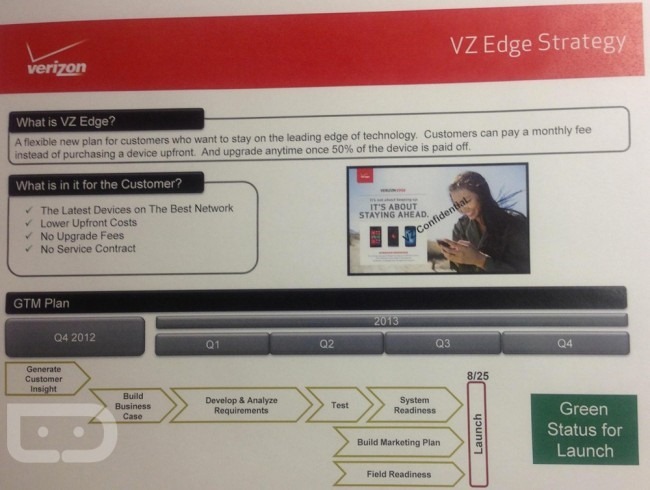 Droid-life has gotten its hands on some leaked Verizon employee training materials, and they reveal the existence of something called "VZ Edge" - what can only be described as Verizon's four-letter answer to T-Mobile's new Jump upgrade plan. The gist is this: Verizon will allow you to upgrade your phone every 6 months, with strings attached. Here's what we know so far. 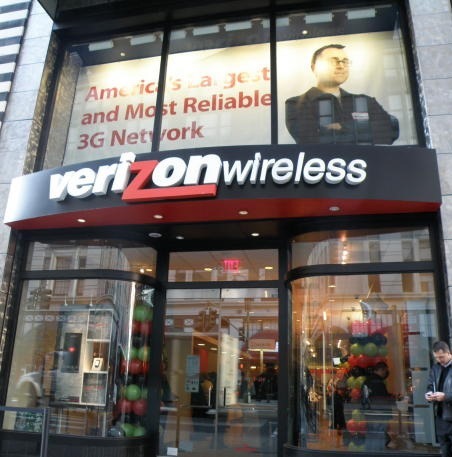 Edge is part of Verizon's existing device payment plan program. That means you finance a smartphone at full off-contract price over the course of 12 months as a payment on top of your existing service bill (plus a $2 finance charge every month). The new Edge plan also appears to be off contract only, meaning you will likely be at Verizon's mercy in terms of data plan changes and service cost increases. This also may mean by relation that Edge will be unavailable to customers seeking to retain their unlimited data or pre-Share Everything tiered data plans (this is not known, but seems reasonably likely). Edge does not appear to include phone insurance, and it's unclear exactly how the upgrade process will work. What we do know is that in order to upgrade, all you need is for your current phone must be at least 50% paid off (rather than T-Mobile's 6 month waiting period). The question is whether or not you will be trading in your old phone (thus ending payments on it) in exchange for a new phone with a new payment plan, or if you'll get to keep the first phone and have to pay it off on top of your new handset. My guess is that it's the latter (you still have to finish paying for it), but we'll see soon enough - the leaked training docs indicate VZ Edge will be launching at the end of August.